Magento Engineering community created over 6,500 pull requests, organized meetings and events in different countries worldwide, wrote numerous blog posts to share their innovative solutions and answered thousands of questions on the Magento Forums in 2018. In 2018, our team created valuable 71 pull requests to the Magento Open Source project, earning 2350 points making us the #1 contributor of the year. We deeply appreciate the given opportunity to receive the Community Insider reward at the Magento Imagine Awards. 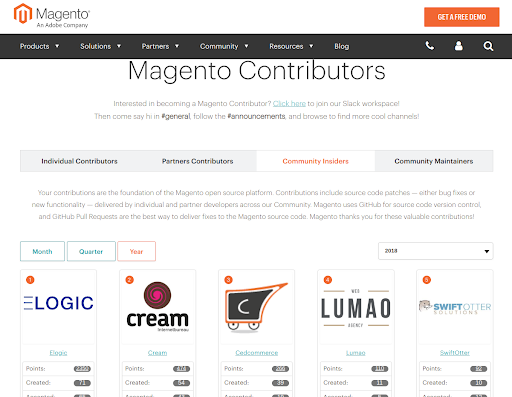 Huge props to partners and individual contributors who also contributed to Magento in the previous year. Some requests took hours, other – days. If we analyze the completed projects in 2018 – MSI, GraphQL and Bulk API, we can definitely observe the results. Magento2 Multi Source Inventory (MSI) is newly introduced project designed to allow handling stock management in different locations. MSI is a community-driven project and all the results of the project belong to Magento 2 Community edition. GraphQL is a very powerful query language for APIs used to communicate and manipulate data between client and server. It’s considered more flexible and effective than REST API. Bulk API operations are actions that require persisting big amounts of data and are performed on a mass scale. For instance, bulk operations actions include setting prices on a large scale, importing or exporting items etc. The MSI is approximately 12% of the whole Magento 2 codebase. That’s quite impressive that nearly every 10th line of code in Magento 2 is MSI developed by Magento Engineering Community. We are also very pleased to inform you that our Magento 2 Developer Serhii was not only named one of 50 Magento Contributors in 2018 but also ranked first. In the interview, Serhii talks about his contribution to the Magento Engineering Community, the advantages of Magento Community, shares his experience visiting various Magento events, and more. How did you become a member of the Magento Community Engineering Team? I’ve started to contribute by accident. At the beginning of 2018, I attended The Meetup & Contribution Day in Chernivtsi. I was pretty excited that Magento engineers would come to share their knowledge and experience with us. I couldn’t miss such an opportunity. There I met Igor Miniailo with whom I had a lively discussion. We talked about common ERP implementation challenges and how to overcome them. The next day I solved my first pull request. I realized that being part of Magento Community Engineering would enable me to share my ideas with other fellow developers and find the best Magento coding practices to implement on my projects. I didn’t want to be an outside observer any longer, I wanted to contribute to the development of the Magento platform. My first pull request was connected to Stock Data on the product edit page. When I solved the issue it brought me a lot of pleasure and professional satisfaction. So I made a decision to carry on. During the past year, I participated in the Magento 2 Core and MSI projects. I’ve made 71 pull requests tackling plenty of gripping, thought-provoking and useful tasks. What are the main advantages of the Magento Engineering Community? First of all, it’s a great possibility to gain new knowledge. 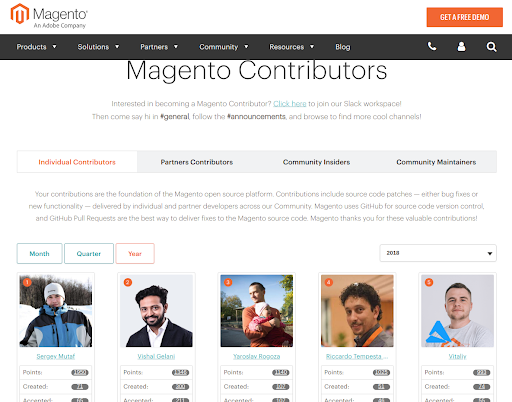 The best way to master Magento is by contributing to it. Working on new pull requests I’ve discovered new methods and technologies that would let me work with MSI and Magento 2 Core in Elogic projects smoothly and effectively. Furthermore, I’ve also met a lot of new Magento experts. Communicating with so many intelligent people in the Magento Community helped me to obtain greater professional development of new useful skills. You’ve been quite actively attending various Magento events. What is your favorite event? The most memorable event out of all of them was Magento Life Europe in Barcelona in October 2018. We talked about key marketing features of Magento 2 and essential changes impacting consumer experience expectations in the current market. I often attend Magento meetups as I like interacting with fellow community members and exchanging experiences with my colleagues. It’s one of the main reasons why I regularly attend such events. 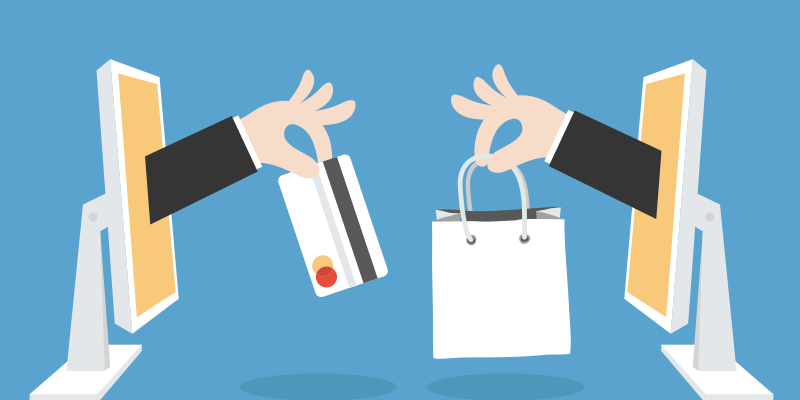 Magento platform develops really fast and I firmly believe that we should share best practices and our ideas to stay on top of developments in online retail. What were your feelings after the announcement of the list of top 50 Magento contributors 2018 where you ranked first? How did you find out about this? Before I saw it, I got a message from Igor Miniailo. I was really happy to find out that my efforts had not been in vain. When you start contributing, you have the possibility to work on something really fascinating. Knowing that you help your colleagues in handling new challenges is the biggest possible reward for me. 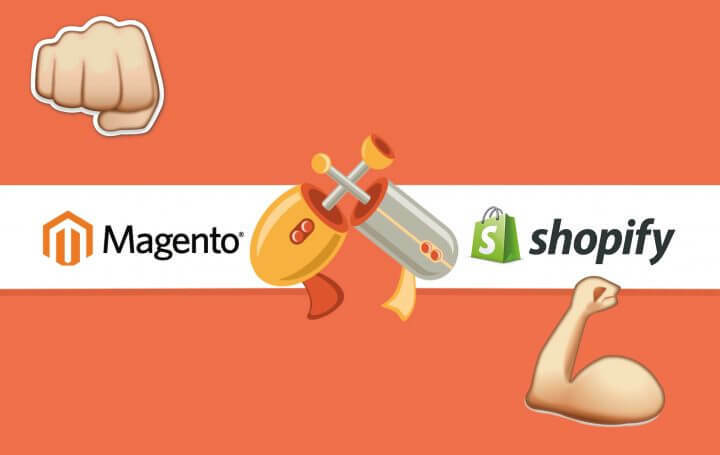 What are your expectations for Magento platform in 5 years from the present day? I firmly believe that a considerable part of the development will be a community driven in the upcoming future, which can improve the user’s experience. 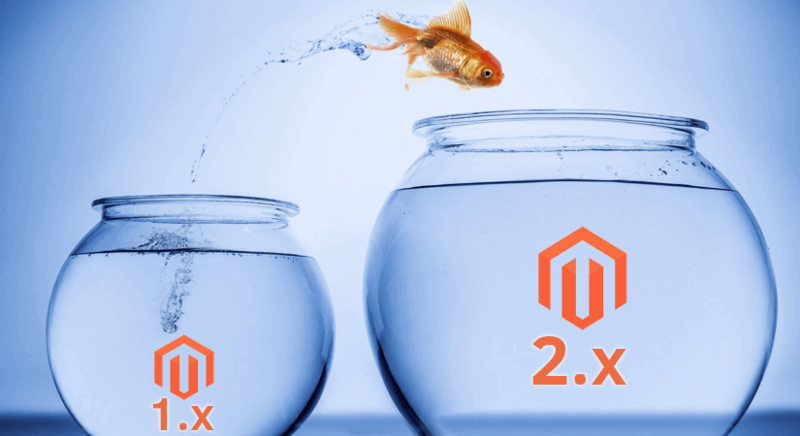 From the business perspective, I don’t see the scenario where Magento decline as it’s one of the most popular ecommerce solutions with a large community and numerous customers.